The MADA Digital Fabrication (D-Fab) Workshop is a state of the art prototyping facility and is available to all students and staff of MADA. 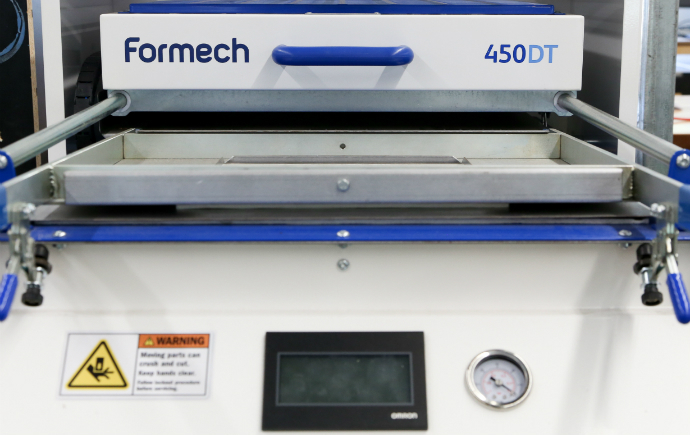 You can learn about equipment, complete training modules and assessments, book into training demonstrations, view instruction guides and obtain access to the D-Fab Workshop via this site. If you know the process or equipment you would like to access for your project or want to know more about the process and equipment available then head straight to the appropriate heading below for more information. To access the Digital Fabrication (D-Fab) Workshop, you are required to complete the D-Fab general access quiz. This quiz covers occupational health & safety and general workshop rules. You will need to refer to the PDF’s entitled ‘Section 1: Getting Access’ and ‘Section 2: General Workshop Rules’ to complete this quiz. Once you have completed this quiz with a score of 100% you will be granted swipe access to the workshop. You should automatically have access to the form through your Monash email address, however if you have multiple google accounts, there can sometimes be issues. You may need to clear your cache and cookies or alternatively open an incognito window (chrome) and close all other open chrome windows. The MADA D-Fab Workshop has a suite of 7 epilog laser cutters. These machines are free to use and are accessible to all MADA staff and students, once all appropriate training has been completed (details below). Laser cutting is a non-contact process where a high powered laser travels along a computer generated pathway to cut, etch and score flat materials. A concentrated laser beam is directed through a nozzle onto the cutting material and a partial or total burning of the material occurs. The burnt material is then drawn away with extraction leaving a sharp edge or score behind. The laser cutters are accessible for the full duration of workshop hours and are one of the most popular machines within the workshop. As this is the case, students are permitted 1 hour of cutting time each week and must always book their laser session through the online calendar. This becomes especially important when the machines are in high demand during submission periods throughout the semester. *To avoid misuse of equipment and deter OHS and operational hazards, students without the access sticker affixed to their ID’s will not be allowed to operate the machines. The answers you will need for the quiz are contained in the videos and pdf’s below. Please study them, then follow the link below to complete to the quiz. Once you complete the laser cutting quiz you will be prompted to book your practical demonstration. 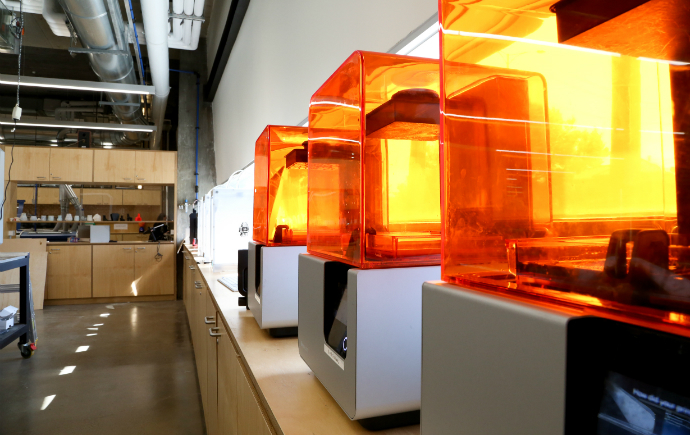 The MADA Digital Fabrication Workshop offers a range of 3D printing options that enable students to successfully create prototypes in a range of materials. With the printing technologies available at D-Fab it is possible to prototype a wide range of geometries using various materials. Plastic filament (FDM), Resin (SLA), Powder (Plaster). Fused Deposition Modelling (FDM) printing, is a popular choice and is easily accessible for students new to 3D printing technology. The FDM printing process involves heating thermoplastic filament to its melting point and then extruding it layer by layer to ‘build’ an object. The FDM printers are available for students to use independently after completing appropriate training (details further down). Students can also make use of larger scale FDM printers operated by technical staff. Use of staff operated 3D printers will incur a cost. Costs will vary depending on the size and complexity of the 3D model. If a model requires internal or difficult to remove support structures, PVA support printing may be your best option. PVA is a soluble material that once placed in water will detach and dissolve leaving your clean PLA model behind. All PVA prints are operated by technicians only. D-Fab currently has Formlabs Form 2 printers which use a method of printing called Stereolithographic Apparatus (SLA) printing. This involves a process called photopolymarization by which liquid resin is ‘cured’ or made solid layer by layer by targeting it with a UV beam. We also operate a Projet 660Pro Printer which is a large format printer capable of printing full CMYK colour/ texture models. The printer works by ‘binding’ powder layer by layer to create a 3D form, whilst applying the colour and glue every layer. This option is suitable for models that would otherwise use an excessive amount of support. It is not suitable for working parts and is operated by technicians only. The answers you will need for the 3D printing quiz are contained in the pdf below. Please study it, then follow the link below to complete the quiz. Once you complete the 3D printing quiz you will be prompted to book your practical demonstration. Computer Numerically Controlled (CNC) machining is a reductive process for milling objects from material solids. Milling refers to the process of removing material with a rotating cutter which has knife edges to slice off chips. This is an old process dating back into the 1700s. Nobody knows exactly the origins. 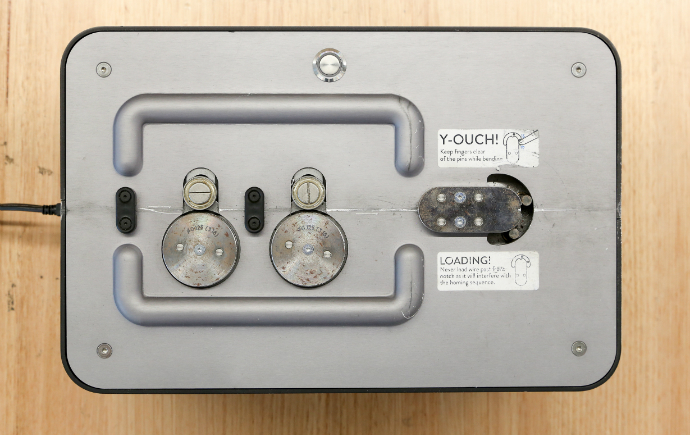 Today we use precision stepper motors to move the ‘tool’ very precisely via electrical pulses. This process requires a CAD drawing or model from which digital code is generated. CNC technology is at the forefront of contemporary manufacturing, and even found in fine art practice. 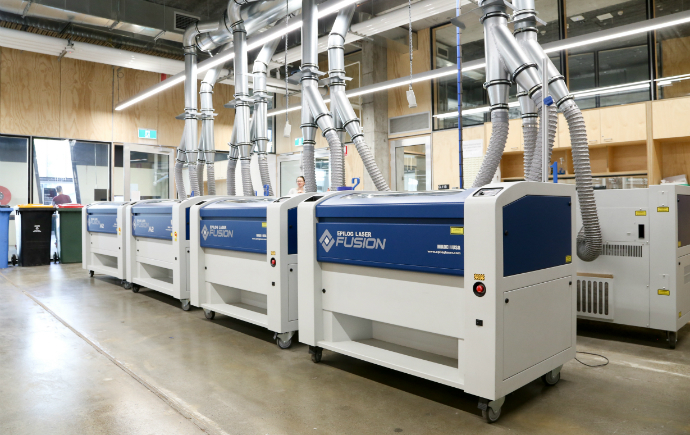 The MADA Digital Fabrication Workshop has several digitally controlled machines, each with specialist applications to introduce students to these processes. A description of these machines and their specific applications can be found below. CAD files presented to the Digital Fabrication Workshop for CNC work need to be presented with specific formatting. Please read the QUICK START GUIDES as pdf. found below before booking a consultation. 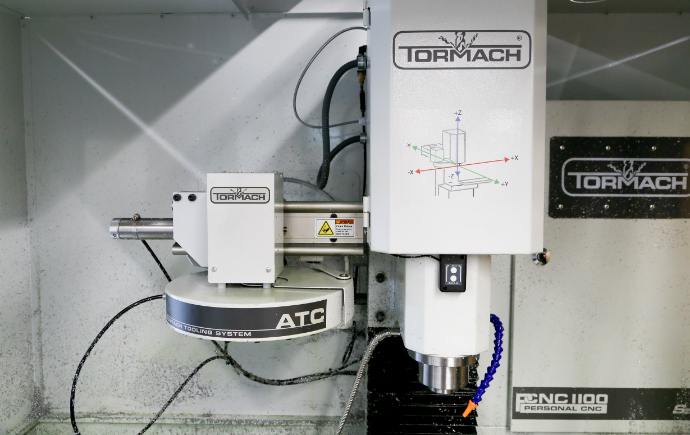 Students can access the CNC’s by booking a consultation with a technician. Students can learn the basics of robotics with small desktop robots before graduating to working with collaborative Kuka iiwa Robots. 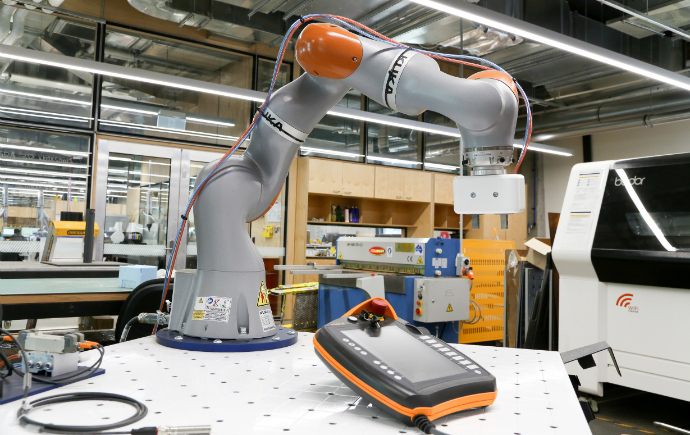 After demonstrating an understanding of robotics fundamentals, students can access the technician operated industrial fabrication Robot ‘Rusty’ a Kuka KR120 which has the capability to carve out large scale prototypes. Using a combination of heat and pressure, a sheet of plastic is gently heated before a strong vacuum forces the plastic against a single surface solid pattern. The vac former allows plastic forms to be easily created, capturing fine details and generating objects of uniform material thickness. Vac forming requires a practical demonstration training session and can be carried out by students independently once they have completed this training. Students can access the Vac former by booking a consultation with a technician. The DIWire bender is capable of CNC path run operations using the supplied software Wireware 2.0. Like the machine, the software is easy to use and can assist in the creation of 2 dimensional bent forms. The Wire bender can bend a range of materials: stainless steel, high carbon steel, copper, brass and aluminium up to 3.2mm in diameter. Students are welcome to independently use this machine after booking a short practical demonstration with a technician. The Digital Fabrication Workshop now offers metal laser cutting. The Bodor i5 500W Fibre Laser cuts a variety of metal sheet and plate up to a maximum thickness of 6mm (mild steel). The Bodor i5 500W Fibre Laser cuts mild steel. stainless steel, galvanised steel,aluminium,copper and brass and has a maximum cutting area of 1300mm x 900mm. Metal laser cutting is available to all MADA students and staff by Submitting a vector file via the Metal Laser Cutting submission form. If after looking through the information above you are unsure of the best way to proceed with your project and would like advice as to the best processes or equipment to use, follow the link below to book a consultation. 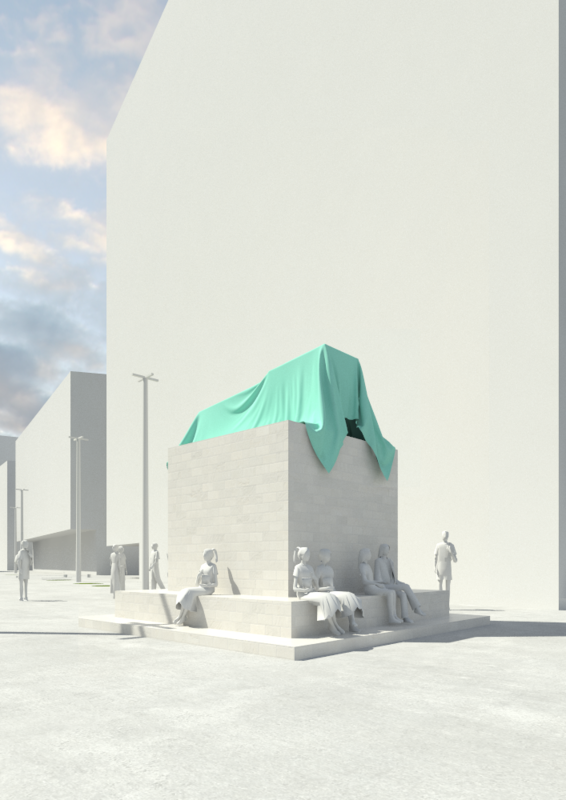 Or alternatively, look through the Digital Fabrication Workshop FAQ's.